Peter Brown comes to Jeff Jones Real Estate with over 25 years of sales experience including managing Tom Browns, a successful men’s retail clothing chain. Tom Browns built a strong reputation on customer care, marketing innovation and professionalism. "I believe the skills acquired while running my own business will give me the ability to focus on clients priorities and deliver outstanding customer service and results"
Peter’s background includes extensive experience in commercial design and lease negotiation. 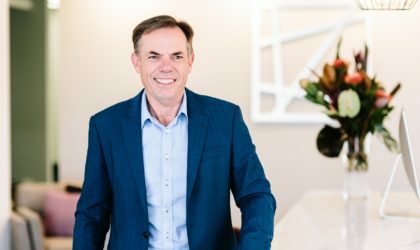 A local eastern suburbs resident for over 30 years means Peter has a precise understanding and connection with the area he works in. Peter has forged a strong bond with the local community and will continue that commitment. Peter believes that the principles and philosophies of which Jeff Jones Real Estate has been built on are closely aligned with his own beliefs and training which make for a positive relationship. We make Real Estate easy and rewarding. Just how we would like it.